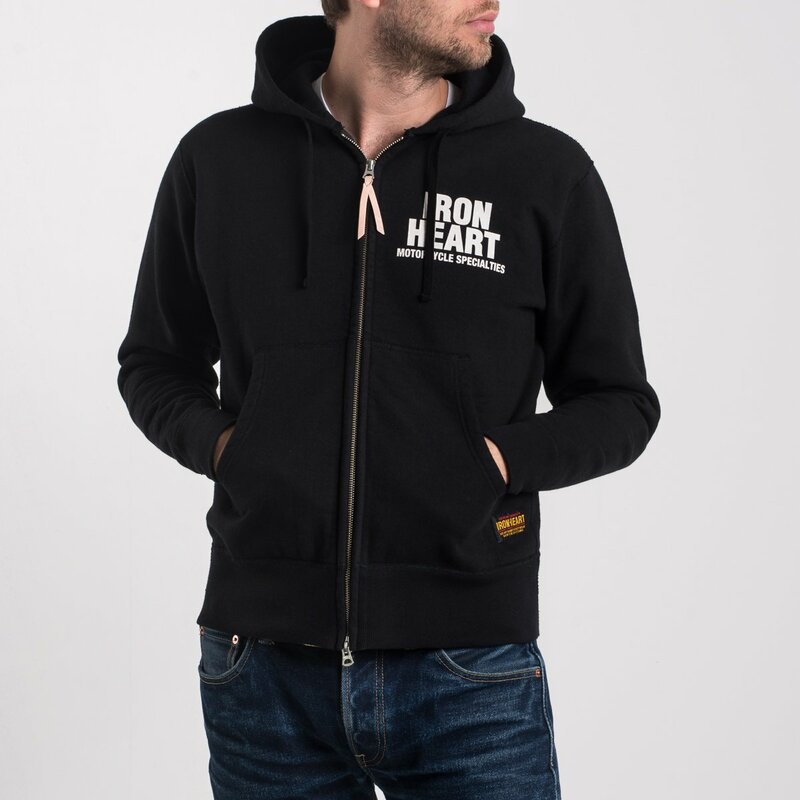 This sweatshirt is constructed using four needle Union Special flat stitched seams and has a hood, front pouch pockets and a 2-way zipper. 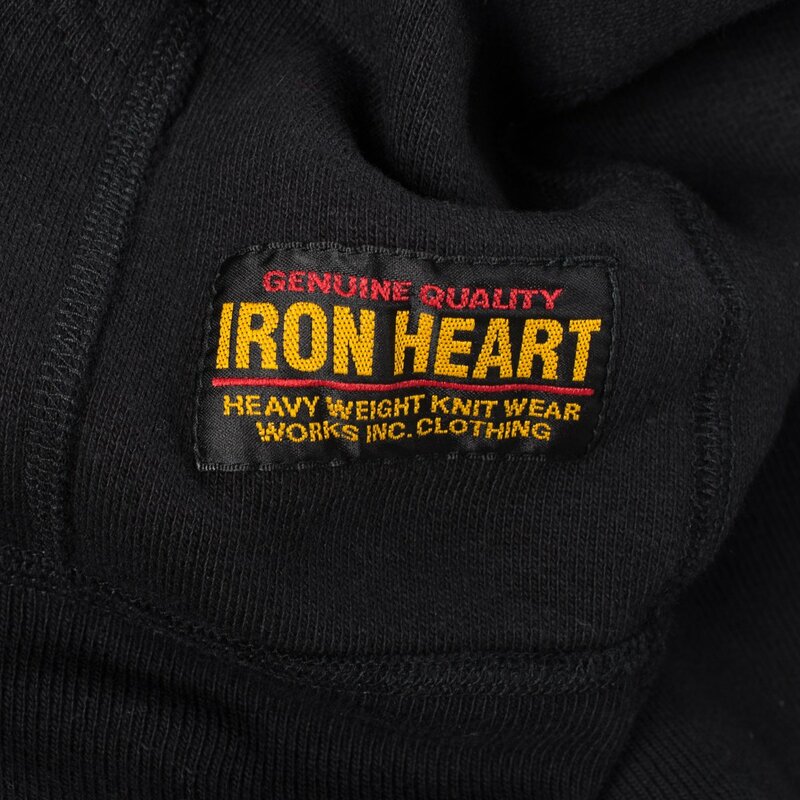 The ultra heavy loopwheel fleece we use for all our sweatshirts is woven in Wakayama and weighs in at a massive 14oz. 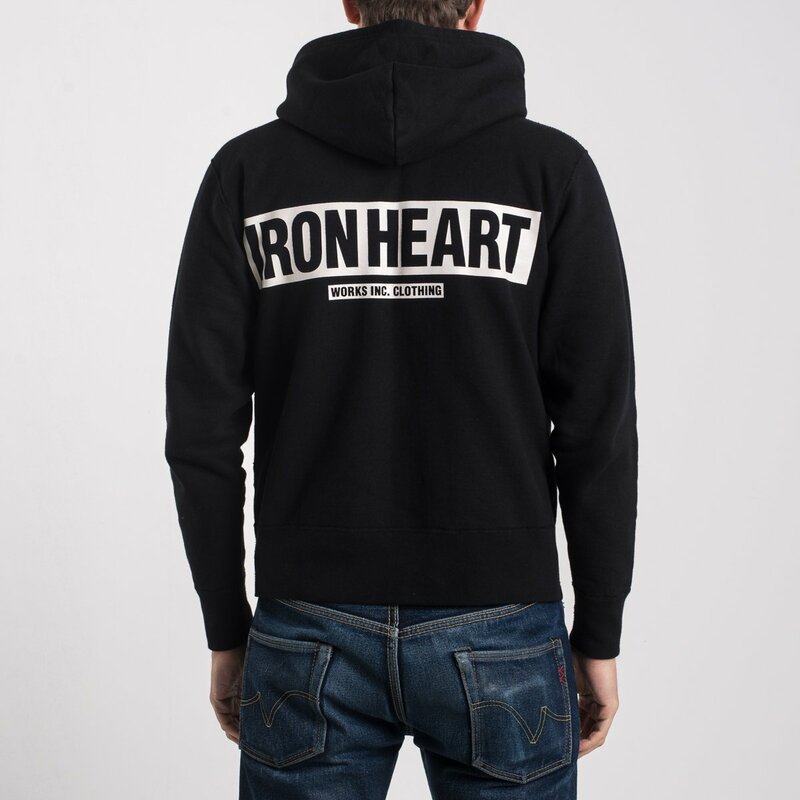 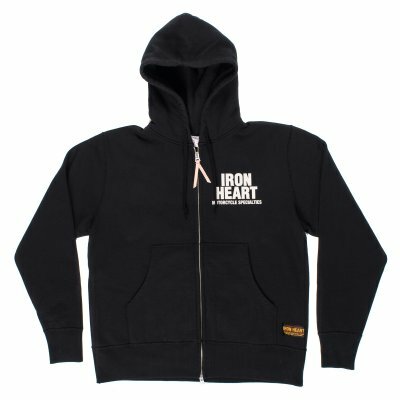 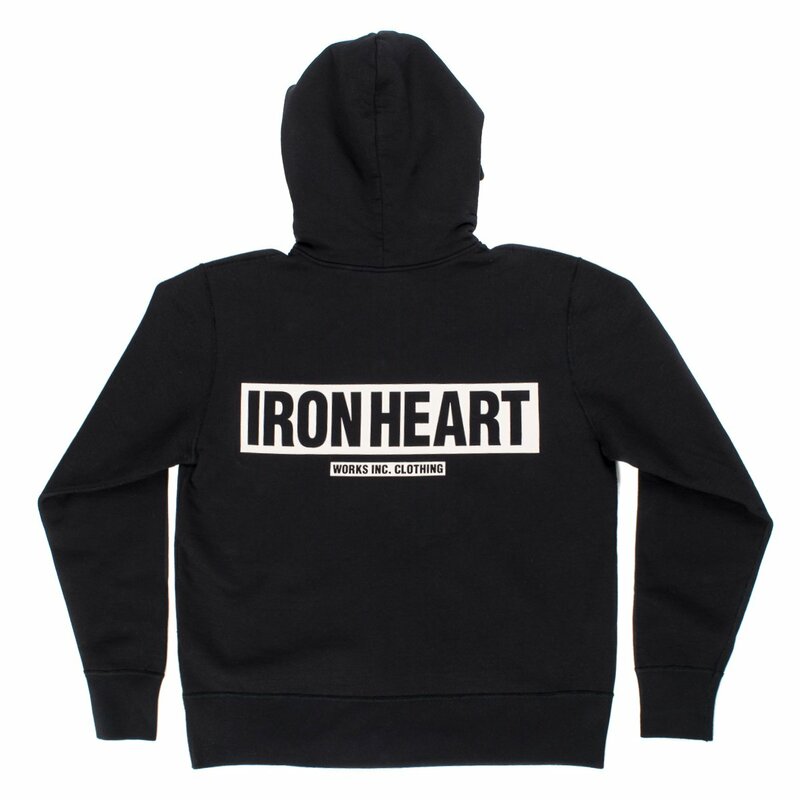 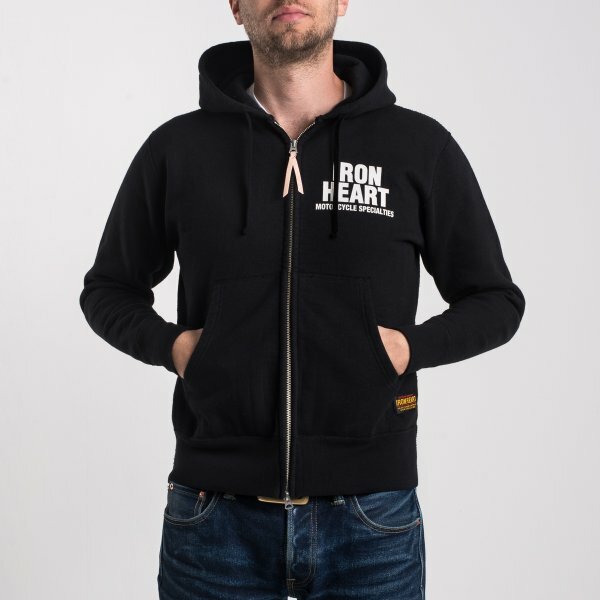 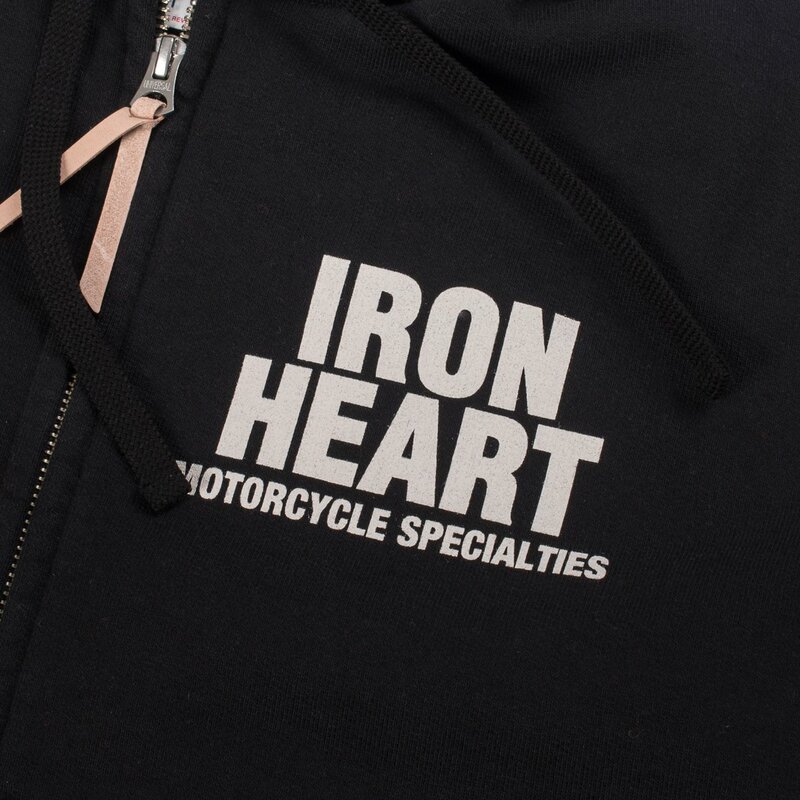 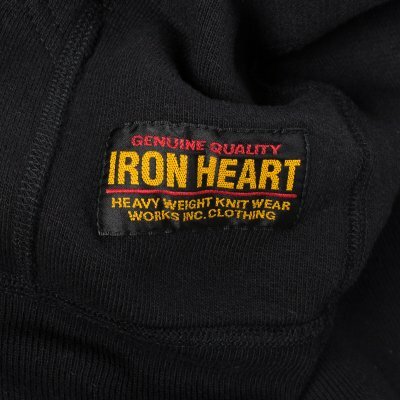 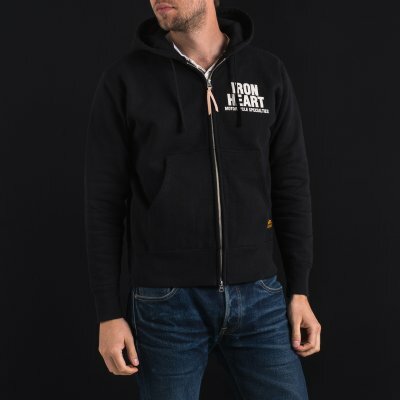 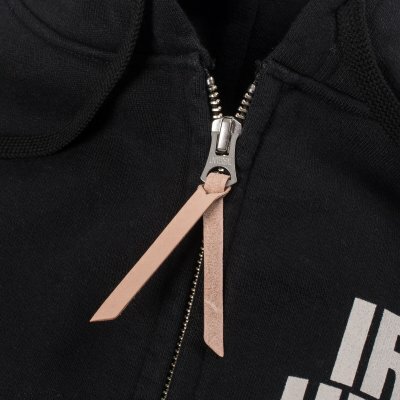 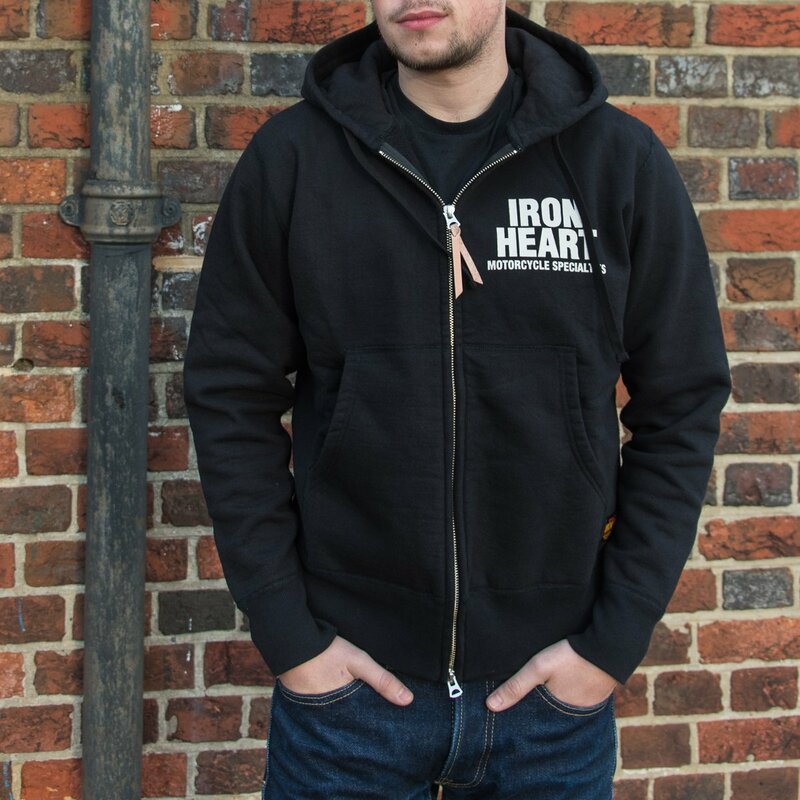 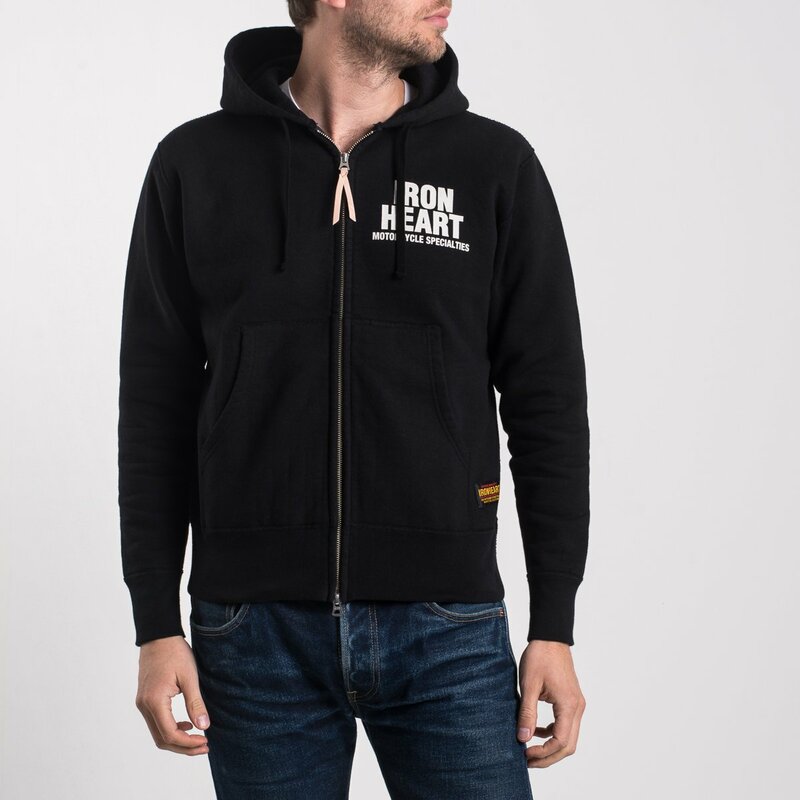 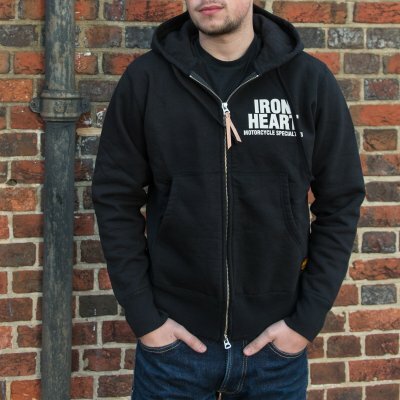 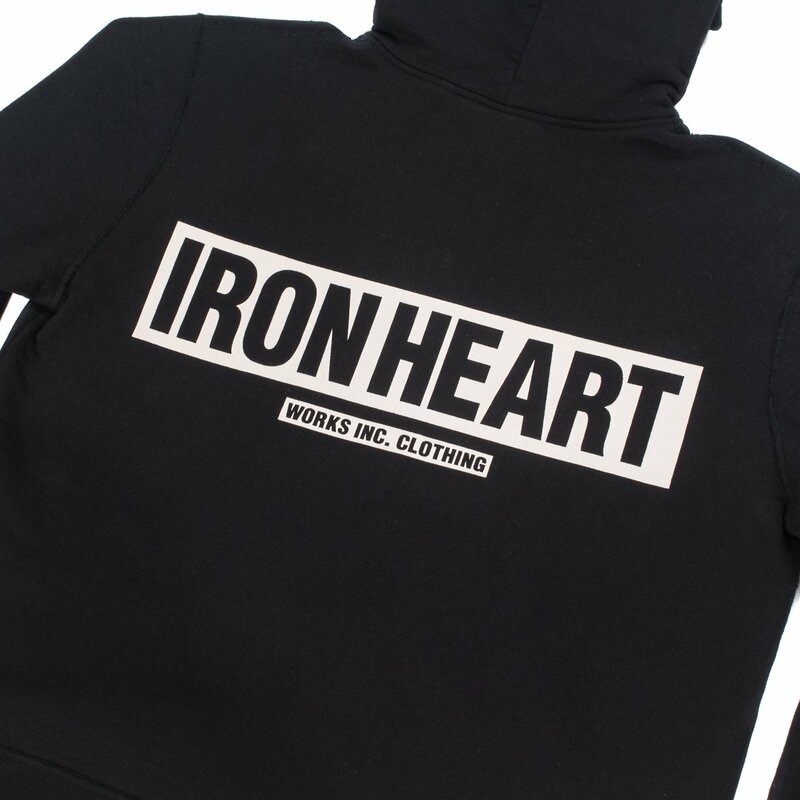 The Iron Heart name composed in a sans font is printed both on the left chest and back of the sweatshirt.